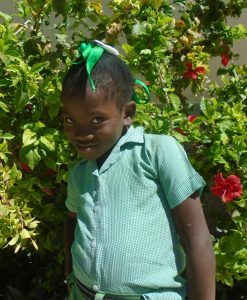 Esperancia is a sassy little eight year old from the village of Michel near Galette Chambon. She lives with her mother, five sisters, and three brothers. Her mother is a market merchant who tries to make a living for her children but it just isn’t enough. She has sponsors for some of her children, but not Esperancia. 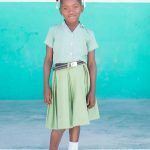 The principal is letting her go to school for this one semester, but if she doesn’t find a sponsor, she will have to sit out of school until she can get sponsored. 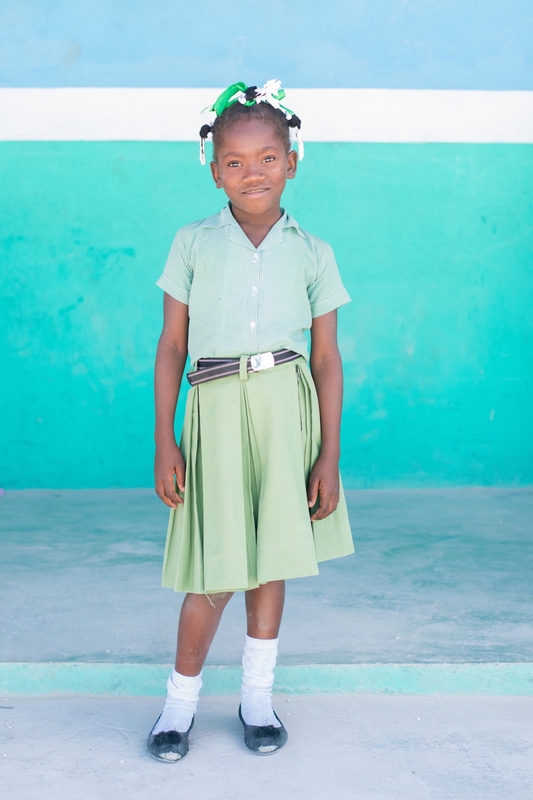 Her favorite subject is science and she loves to study and help her mother work. 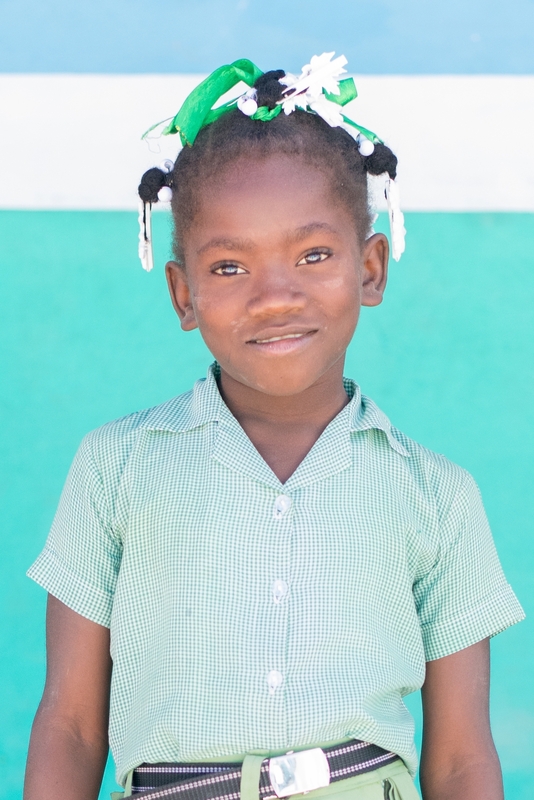 She loves the Hope Center hospital because it helps people in her village who are sick. She hopes she can work there one day.